Third Avenue Merchandise Fair Research Papers discuss the various merchants and the different types of merchandise that is available to the shoppers. While many of the street festivals that are held in the City of New York are focused on bringing the community together in one central location, the Third Avenue Merchandise Fair, which is typically held in mid-August focuses on one specific thing: selling merchandise. As its name implies, the Third Avenue Merchandise Fair is one of the largest fairs to showcase merchandise from all over the region and country. The fair is held from on Third Avenue between 23rd and 24th Streets and is free to the general public. When one considers that the street fair is a common activity in the City of New York—taking place throughout the summer months—the Third Avenue Merchandise Fair is distinct because of its specific focus. While many of the fairs offer a wide range of activities aimed at bringing families, children and the community to the event, the Third Avenue Merchandise Fair focuses specifically on the merchandise that is showcased at the fair. 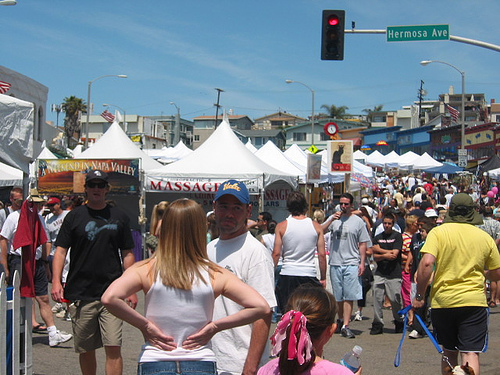 Even though the estimates vary on the number of booths that are present in any given year, reports from past festivals indicates that more than 600 merchants come to this street fair to show their merchandise and hopefully strike a deal with shoppers. These merchants include those who work in the City of New York to those who are looking for a new venue to showcase their products or services. Examining the various merchants that set up shop at the festival, it is clear that food merchants are the most prevalent. Almost every type of ethnic food available across the country is showcased at this festival. Polish, Italian, Chinese, Mexican and a myriad of other food merchants come to the fair, with the hopes of attracting public interest; some are seeking to promote their restaurants. Even though the food can be quite expensive, the large diversity of foods gives the visitors the opportunity to sample new and exotic tastes. Many of the vendors will offer free samples of their best selling products. Paper Masters writes custom research papers on Third Avenue Merchandise Fair and discuss the various merchants and the different types of merchandise that is available to the shoppers.